We are pleased to have you attend our show on Wednesday October 29th from 10:00 A.M. to 3:00 P.M.. It would be of great help if you would please fill out this form to help us know how much food we need to provide. Please also enter each person that will be attending along with your information. We look to seeing you soon! 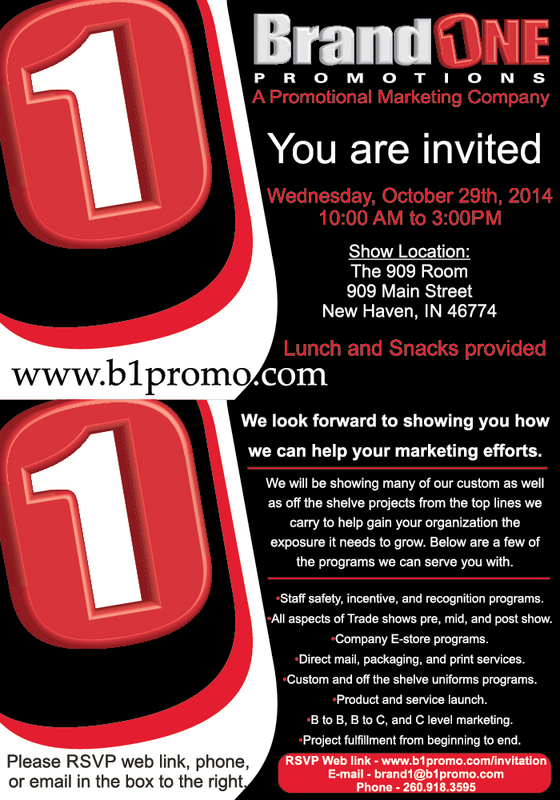 If you have any questions please contact us by phone at 260.918.3595 or E-mail at brand1@b1promo.com. Please go to the RSVP form to let us know you will be coming.